Before the cake was consumed this week at the boy's birthday party the grown ups had a tried and tested treat on the Saturday night. Following our shop at Morrisons I put my feet up whilst the husband cooked. 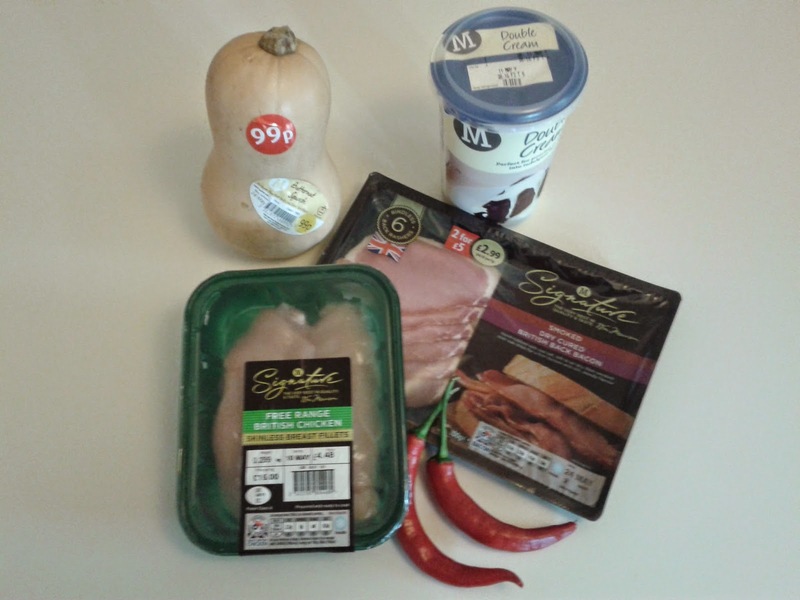 The recipe below includes costs from our Morrisons shop earlier that day. 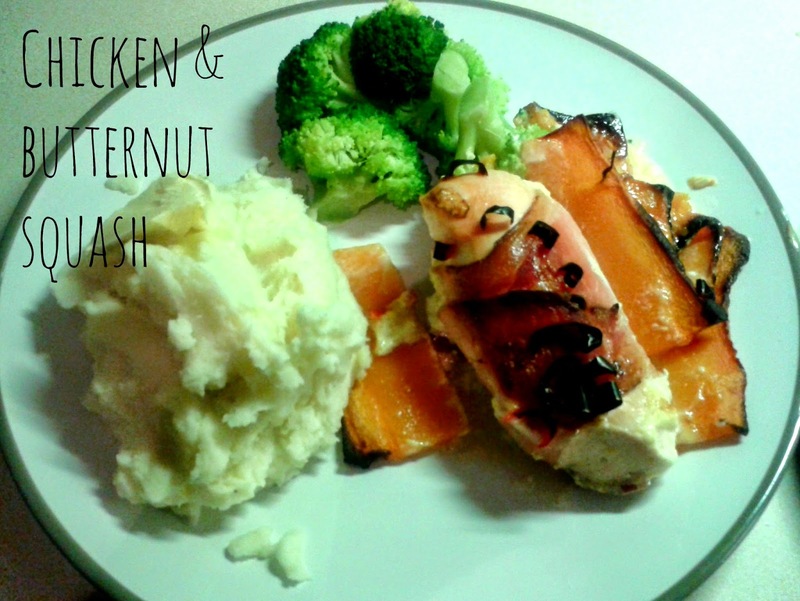 Wrap two rashers of bacon around each chicken breast and place in individual baking dishes. 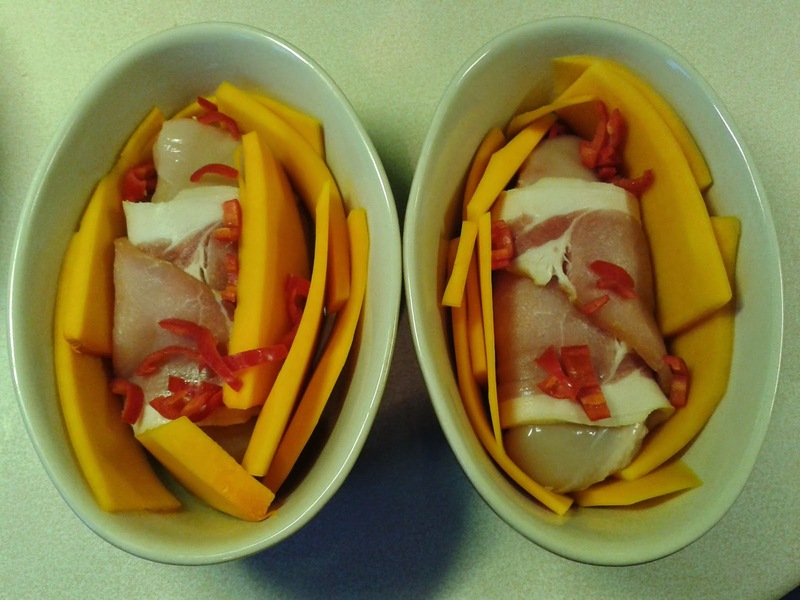 Peel and slice the butternut squash and place around the chicken breasts. Pour the cream around piece of chicken. Chop and sprinkle the chilli over the chicken. Bake at 180c for approx. Meanwhile, boil and mash the potatoes and prepare the broccoli.